Over the next several months, you’re going to hear a lot about the 2018 Farm Bill. What is the Farm Bill? It’s a giant “omnibus” piece of legislation, with hundreds of programs and trillions of dollars. 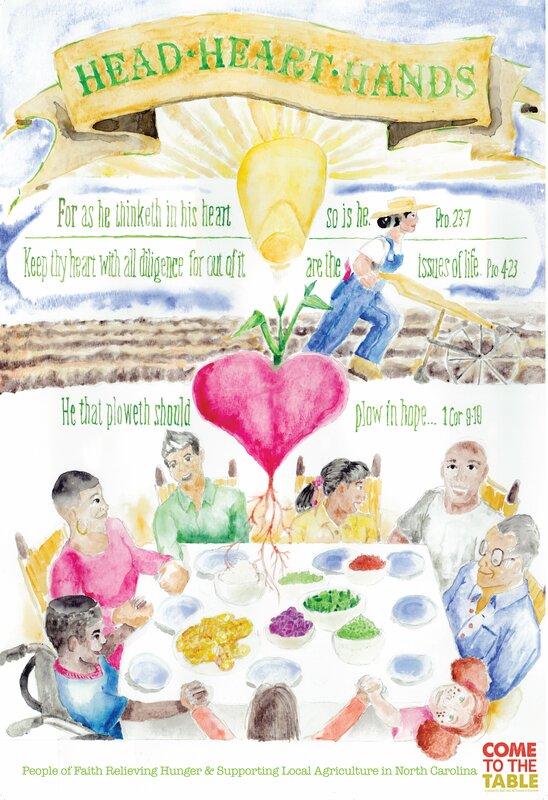 It sets the framework within which U.S. agriculture will operate for the next five years. As the public process commences, we want you to know how the process works and where you can have an impact. Expect to see several versions of the Farm Bill. You will see different versions of the Farm Bill issued by key players, such as Chairman of the House Committee on Agriculture, the House of Representatives, the Senate and a Conference Committee. RAFI will be here to help you digest each version. The further into the process, the less major changes can be made. In general, as the Bill moves through each step, the less it can change. It is already too late for the development of entirely new programs, because much of the structure of the Bill has been established in committee negotiations. So, if you want to voice your opinion, act now! Contact your House Agriculture Committee member. Deadlines. The deadline for Congress to take action is the end of September 2018. At that point, the old legislation expires and programs would revert to the original 1928 legislation, which no one will allow to happen. If Congress is not able to pass a new Farm Bill, they may buy time with a continuing resolution, or CR, that allows the programs to keep going as they are, while Congress works it all out. Unpredictability. While there is a general process, we have to acknowledge that it could all be derailed and have to start over at any time, and at any phase. The Farm Bill starts in the House Agriculture Committee. In general, subcommittees are responsible for developing sections of the Farm Bill called “titles,” which pertain to their respective issues. By the end of March 2018, Representative Michael Conaway of Texas, Chairman of the House Agriculture Committee, will likely throw the first pitch of the Farm Bill process. His draft of the Farm Bill, called the “Chairman’s Mark,” is the first point where the thousands of people—who have spent years arguing, lobbying, negotiating and testifying to get programs in or out—find out where they stand. The Chairman’s Mark puts the results of the work of the subcommittees together, and the draft becomes public for the first time. Once negotiated and debated in the committee, the bill gets passed to the floor of the House of Representatives. Some background: Much of the negotiating is driven by money. Early in the process, the Congressional Budget Office (CBO) “scores” the bill, basically estimating how much it will cost. The CBO establishes the size of the budget “pie” that the House or Senate committee can use in developing their bills. The pie is then split up between titles and sub-committees, and they determine how their slice will be divided between specific programs. What you can do: Contact your House Agriculture Committee member to make your voice heard. Do it early; this is the place you will have the most impact! If your representative is on the Agriculture Committee, then you have a very important voice for all of us. If not, you can ask your representative to make their wishes known to the members of the committee. Sometimes members who are not on the committee co-sponsor marker bills or sign on to “Dear Colleague” letters, which are two important ways that members make public what they want to see in the legislation. Once passed by the House Agriculture Committee, the bill has to get time on the House floor. The amount of time allowed for debate and amendments is determined by chamber leadership. The chamber leadership also determines the process for floor amendments, including how many will be considered and the process for consideration. Traditionally, there were few amendments made on the floor in deference to the committee, but that has changed in recent years. Eventually, the House passes a version of the bill, and it is sent to the Senate. What you can do: Contact your House representative. The Senate then starts the process over, and while they receive the House version, the Senate can basically do whatever they want. Once again, the subcommittees of the Senate Agriculture Committee develop the specifics within titles, and the chairman, in this case Senator Pat Roberts of Kansas, drops a draft. The bill gets debated within the committee, deals are made, and it passes the committee and goes on to the floor of the Senate. What you can do: Contact your Senate Agriculture Committee member. 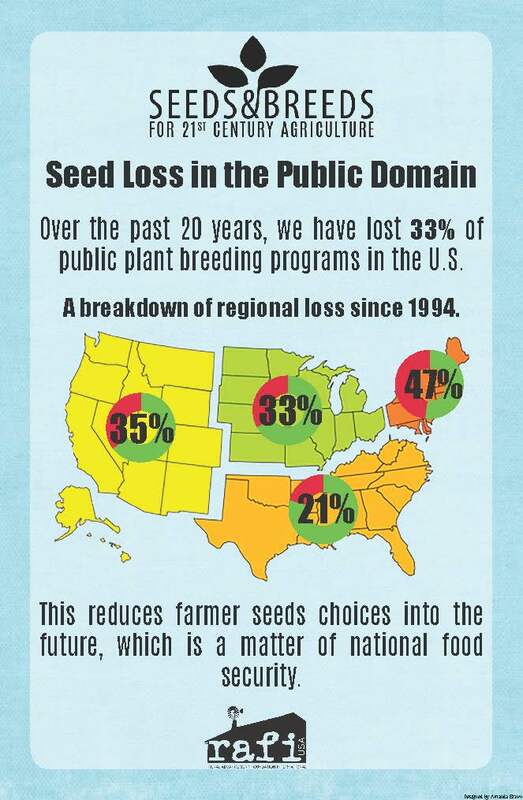 Again, this is where you can make the most change, especially if your senator is on the Agriculture Committee! If your senator is not on the committee, you can still ask your senator to make their wishes known to the members of the committee. Similar to Step 2, Senate leadership determines the timing and process for floor debate and consideration of amendments. Eventually, a version of the bill, which may or may not look like the House version, passes out of the Senate floor. What you can do: Contact your senator. The two bills then go to the Conference Committee, where the differences between the two bills are ironed out. In general, the Conference Committee is made up of the committee and subcommittee chairs and ranking members (the member from the minority party with the highest seniority). In theory, the Conference Committee seeks compromise between the two bills, but there are often wild cards thrown in along the way. The Conference Committee is the least transparent part of the process, and is often where the deals are made. What you can do: If you live in a district represented by a member of the Conference Committee, then you have a very important voice in the process. The Conference Committee has not been formed as of this post; however, once it has, certainly contact those members. Once passed by the Conference Committee, the bill then goes back to the House and Senate floors, where they are debated. If one chamber were to change the bill at that point, the bill would have to go back to Conference to iron out the differences. Once out of Conference Committee, the two chambers often act on the bill fairly quickly with an up or down vote. Once passed by both chambers, the bill goes to the President’s desk for their signature. Once signed, the bill becomes law and goes to the appropriate agencies for implementation. The passage of the bill is not the end of the process. The Farm Bill generally lays out broad brushstrokes of programs, but leaves the details to the respective agencies. Agencies fill in the regulations that will define the program and how it will actually be implemented in the field. These regulations can have a very significant effect on how the programs work. The Farm Bill also lays out spending on programs, called authorization. While some programs get mandatory funding (i.e., the agency must spend a certain amount of money on a specific program), many programs will have levels of non-mandatory funding, meaning Congress may spend that amount. The actual amount of spending is determined each year in the appropriations process. Many programs have been authorized in a Farm Bill, but never received appropriations to be implemented. A huge amount of work goes into monitoring how agencies are implementing programs and the regulations they produce. How a program actually works happens as much in implementation and appropriations as in the legislation itself. As such, there are opportunities for people to get their voices heard during all of these phases. And within a couple of years, the development of policies for the next Farm Bill starts up. The Farm Bill process is a long process that impacts almost every facet of U.S. agriculture. It is a process with many players involved—the most important being you. While many new programs cannot go into the 2018 Farm Bill at this point, we still have an opportunity to work hard and fight for policies and programs that increase the viability of family farms, promote economic vitality, protect environmental and community health, and ensure the just and equitable treatment of all who labor in agriculture. Make your voice heard with your representative and senator. 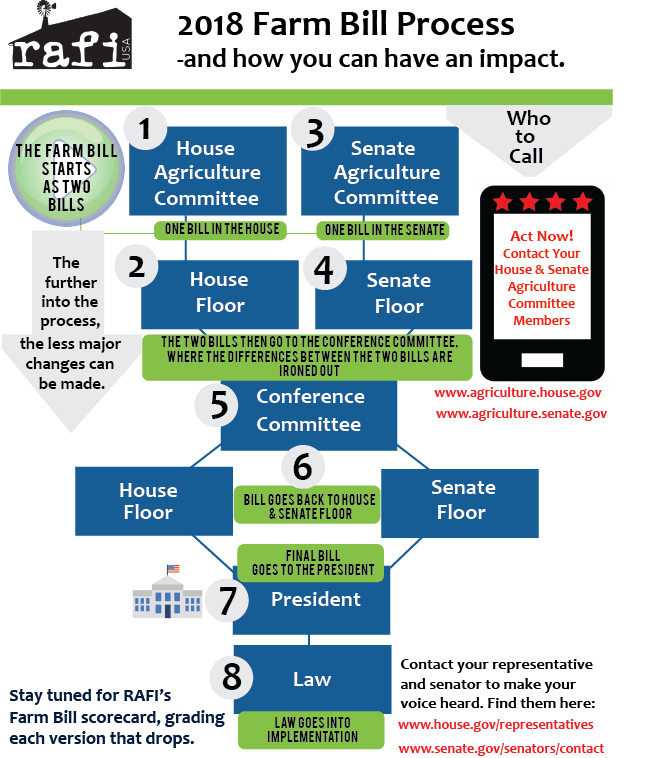 Learn about RAFI’s Farm Bill platform. Stay tuned for our Farm Bill scorecard, grading each version that drops. Support us as we continue this fight. Together, we will shape a Farm Bill that protects, values and rewards our farmers and their communities. CLICK HERE FOR TIPS TO GET INVOLVED WITH THE 2018 FARM BILL. Calyb Hare is a young farmer with long-standing family ties to the land. He grows a variety of vegetables for his CSA on a small, diversified farm in coastal North Carolina. 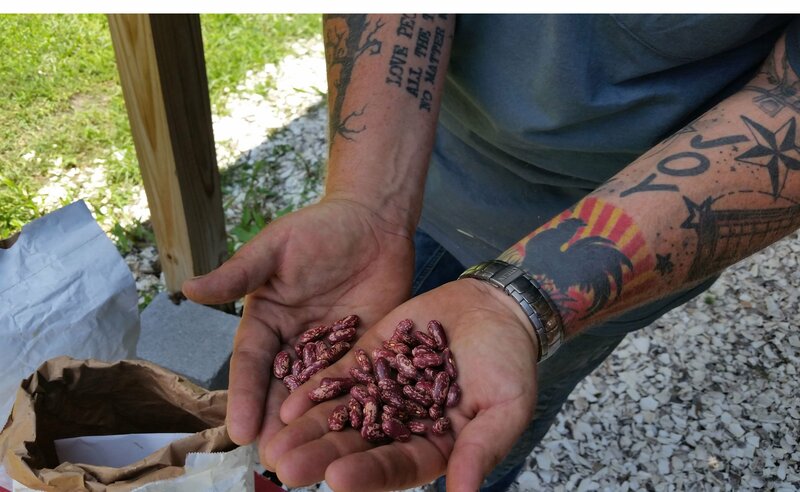 In 2015, he received a grant from our Agricultural Reinvestment Fund to help expand his production of heirloom beans and create a shelf-stable dried and packaged bean product for local and regional markets. Have We Reached a Tipping Point on the Loss of Seed Biodiversity?